Away from the mega resorts of Punta Cana and the hustle of Santo Domingo, Las Terrenas sits quietly nestled between Los Haitises mountain range and the Atlantic Ocean on the Samana peninsula of the Dominican Republic. It is a small fishing village that has an international flare. Along with the Dominicans, thousands of French, Italian, and German residents call Las Terrenas home. More often than not, they come for vacation and stay for a lifetime. 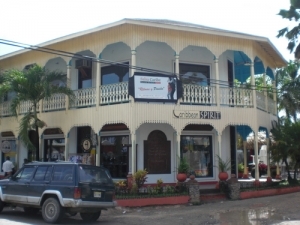 Las Terrenas is a small city on the northwestern tip of the Samana peninsula. It’s population is about 11,000 residents not including the 3,000 or so French, Italians, Germans, and other expatriates. 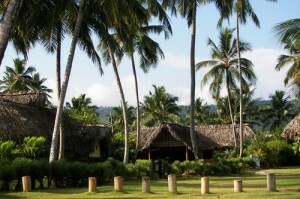 “Las Terrenas may well be elsewhere in the Caribbean. Perhaps, on a small island, which only appears on local maps; an island tailored to the natives who occupy it. Not surprisingly, a little over twenty-five years ago, a group of Europeans settled in this area and began to give this traditional fishing village an international flavor.Today, it is normal to hear conversations in French, Italian, German and English. And as the Dominicans point out, using words full of “L’s” where one would use “R’s”.The town lies along a noisily and heavily traversed set of streets – mostly by motorbikes. Here are the main shops, supermarkets and offices. One of the main roads, along the coast, passes through the area known as the Pueblo de Los Pescadores (Fisherman’s town) – the nightlife center of the town. Today, the original fisherman huts, in this area, have been transformed into bars, restaurants and shops. 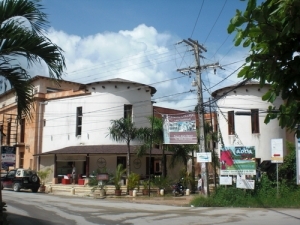 At night the place is always lively.The merits of Las Terrenas are evident. It has some of the best beaches on the coast, post card views of palm trees, outstretched, over the clear turquoise water of the Caribbean. The 18 km of beaches offer peace and tranquility, even in high season, without sacrificing the amenities you expect from more developed tourist areas. Even more important the beaches in this area are truly public – the resorts cannot block access to your favorite beach.